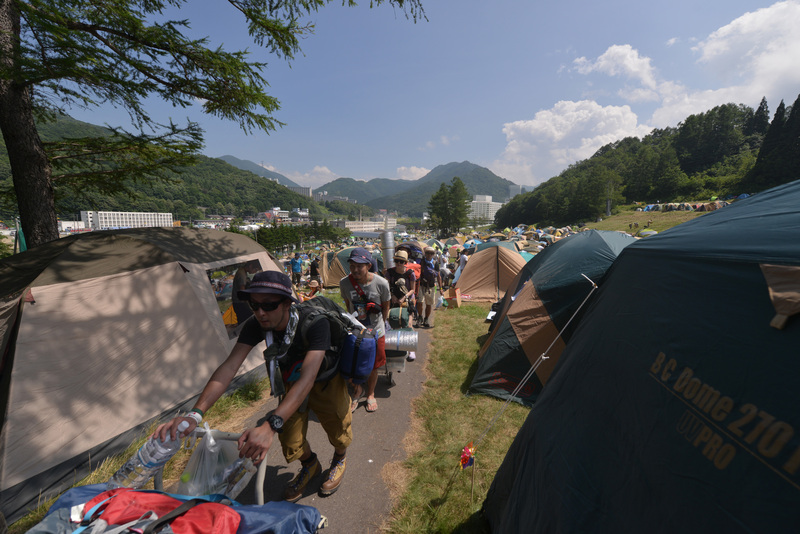 If the lackluster response to Fuji Rock Festival’s lineup announcements and the closure of at least one of its stages suggests looming trouble for Japan’s festival scene, there is one rival that has gone from strength to strength: the domestically focused Rock in Japan. The festival’s parent magazine, Rockin’On Japan, has already seen plenty of rival magazines fall by the wayside, even as the Internet threatens to pull the rug out from under the industry. It has consolidated its position of power and influence at the heart of the rock-branded portion of the music industry with a vertically integrated business model based around the three Ps: production (Jackman Records), promotion (the Rock in Japan and Countdown Japan festivals) and propaganda (Rockin’On and the RO69 website). 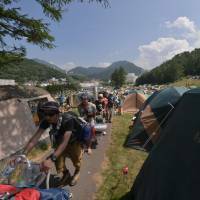 In an interview with The Japan Times earlier this month, Rockin’On supremo Yoichi Shibuya was keen to emphasize his work in ensuring the festival is as accessible as possible, smoothing out the kinks that can make other festivals intimidating experiences. And let’s not be sentimental about this: long lines, poor hygiene and aggressive behavior are not integral parts of the authentic festival experience to be celebrated and preserved. When, in 2009, Ken Yokoyama of punk band Hi-Standard complained about Rock in Japan’s “no moshing” rule, he was expressing solidarity with his own tribe’s culture, but thousands of music fans — in particular women who’ve been groped in the pit — may find moshing unpleasant. What Shibuya is building is not about rock so much as it is about rock-branded lifestyle entertainment. It’s curious that in the interview, he seemed to evade questions that directly referred to music, always looping back to details of the wider experience. “Come to our festival,” he seemed to be saying, “it’s relatively painless.” Nevertheless, there is a broadly identifiable sound associated with Rockin’On and Rock in Japan — it even has a name, Rockin’On-kei, albeit one usually applied derisively. Characterized by faintly progressive, watered-down alternative rock arrangements with soaring J-pop vocal melodies, delivered with impressive technical virtuosity, the magazine, label and festival are a devastatingly efficient machine for discovering, producing and developing a type of pleasant, comfortable guitar-based music that is the ideal soundtrack for a mid-afternoon festival slot. What it isn’t really set up to produce are acts that possess the qualities of convincing headliners: acts that have a distinctive and instantly recognizable artistic voice. So far, the festival has looked either to previous generations or the pop factories of the major label juggernauts for these acts, but the older groups are a finite resource and drawing too much from pop could fatally undermine Rock in Japan’s branding. The drought in headline-worthy acts is a globally noted phenomenon, often attributed to the fragmentation and specialization of media in this supposed era of choice. For a strictly domestic festival, that problem is exacerbated. Rockin’On is emblematic of what happens when a successful exercise in specialization starts to hit the limits of its own potential. It has cornered so much of the scene that Rockin’On-kei has become self-perpetuating, its musical DNA so inbred that it undermines the supply of new music that might inject some spark back into the mix. Over the longer term, the festival could try to broaden its gene pool by bringing in a wider range of lively and creative (but not necessarily commercial) artists, but doing that would risk alienating its cherished consumer base who have grown used to the polite vibes. They could use the magazine to rally support for a broader range of artists, but smaller indie labels aren’t a fertile ground for the advertising money and other income the magazine relies on for its revenue stream. This year’s roster, however, seems to have abandoned the idea of headliners altogether. Instead, the festival spreads major acts such as Perfume, Kaela Kimura and Uverworld around the afternoon and closes as the sun goes down, with more of a whimper than a bang. There’s something appealing, even democratic, about this approach, but what’s sad is the way it represents a doubling down on Rock in Japan’s middle-of-the-road strategy. It’s the move of a powerful organization circling the wagons and protecting its hegemony. It doesn’t point the way to any kind of new dawn of music — instead, it points the way to an eternal afternoon.